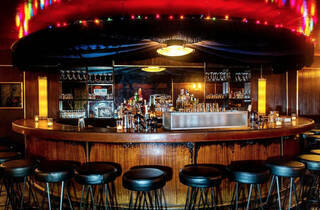 Venue says An iconic cocktail lounge/bar located in the heart of the East Village, Manhattan NYC. 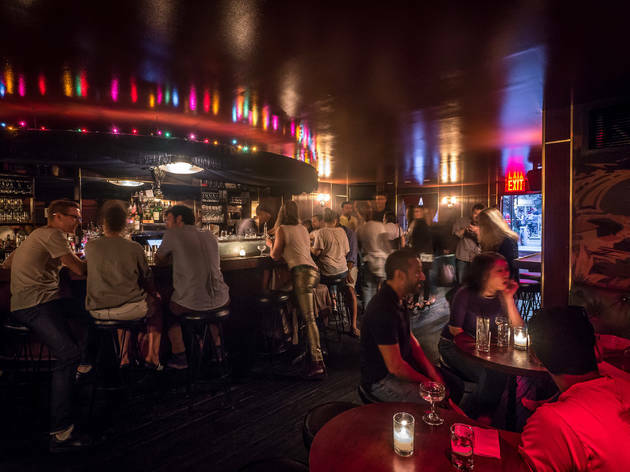 Keeping a dive bar—and even a beloved one—alive in New York isn’t easy: Just look at the recent demises of Milady’s, Winnie’s and Mars Bar (RIP). 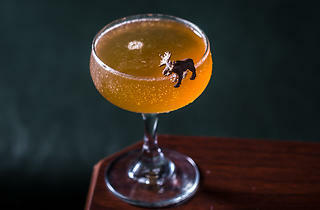 Which makes the phoenixlike rebirth of Holiday Cocktail Lounge—a six-decade-old East Village mainstay whose barstools have seen the likes of Allen Ginsberg, Joey Ramone and Sinatra—such a head-scratching anomaly. 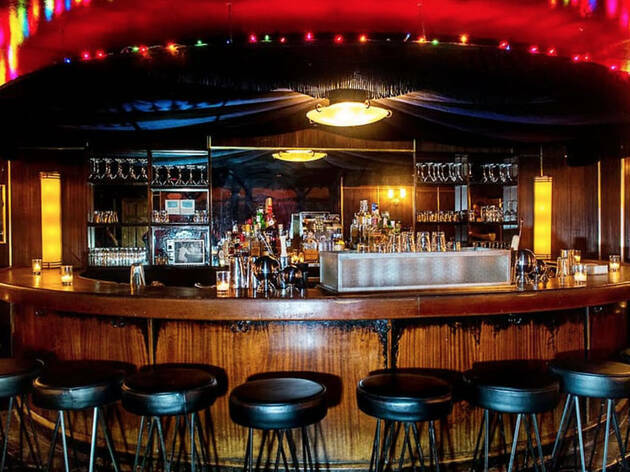 Three years after the bar shuttered its dinted metal doors following the sale of the building, the saloon has been given a new lease on life, thanks to Pirate’s Booty founder Robert Ehrlich and La Palapa owner Barbara Sibley. 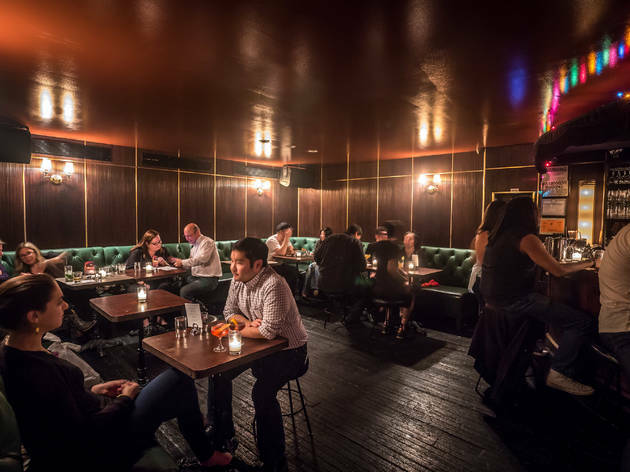 And though the place has been spruced up—duct-taped booths traded for green banquettes, neon beer signs for gold sconces—the joint hasn’t been scrubbed clean of its charm. ORDER THIS: While $5 Genesees survived the refurbishing, the cocktail list has been reworked courtesy of barman brothers Michael and Danny Neff (Ward III and Extra Fancy, respectively). 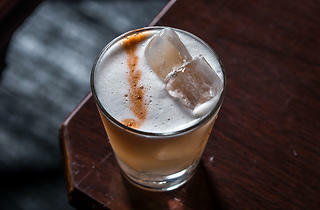 The I Know You Are… ($13) is a standout, a smooth mescal swill with a slow burn of peppercorn-infused Cointreau. 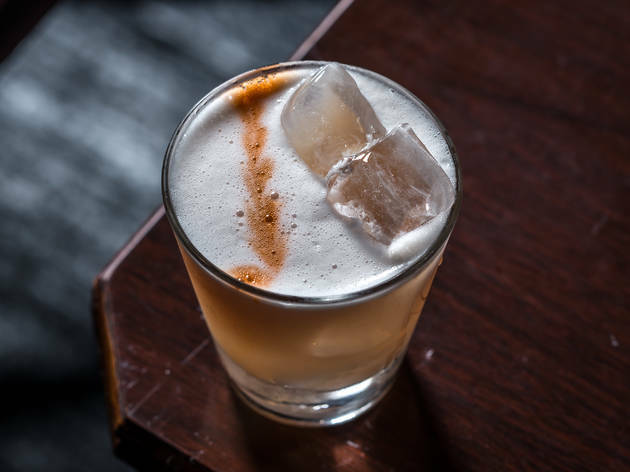 For something lighter, opt for the Mortally Afraid of Madam ($13), a creamy whiskey concoction tinged with Avuá Amburana cachaça and frothed with egg white. GOOD FOR: Holiday virgins and veterans alike. Frequenters of the original will breathe easy seeing that the battered red awning, wooden phone booth and signature horseshoe bar remain. 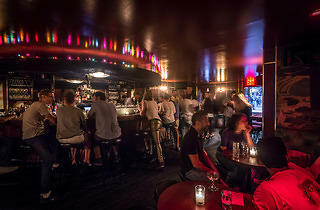 Beneath a restored harem-girl mural, dating back to the 1920s when the bar was known as Ali Baba Burlesque, dressed-down groups in their twenties and thirties convene over drinks at the back tables, the din of laughter regularly overtaking the ’80s deep cuts spilling from the speakers. 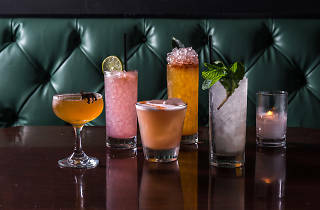 THE CLINCHER: “Honestly, we’re a hybrid between a cocktail lounge and a dive bar,” says a smiling waiter somewhat sheepishly. 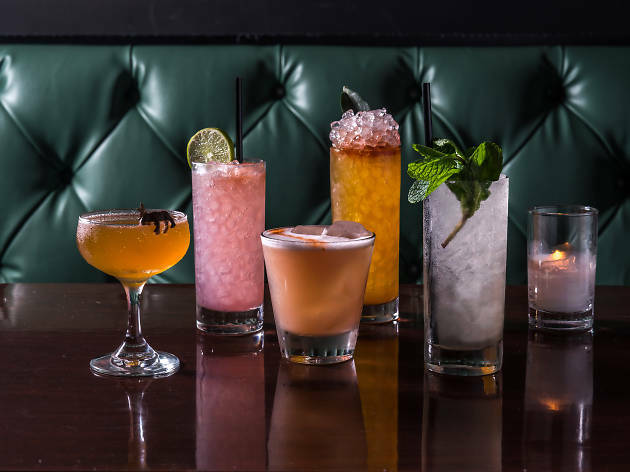 And he’s right—the prices are a few bucks higher and the drinks given more thought, but there’s not a speck of pretense to be found in the place. And there’s still East Village zaniness in spades: A recent night hosted a cards-slinging magician wearing nothing but a shiny red Speedo. 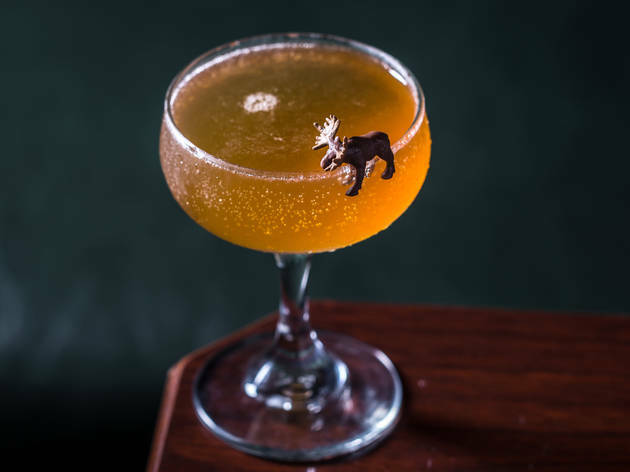 The gleam-over-grit revamp—while still keeping the bar’s DNA intact—allows for an even broader crowd, which is exactly what a dive is all about. Holiday, celebrate. 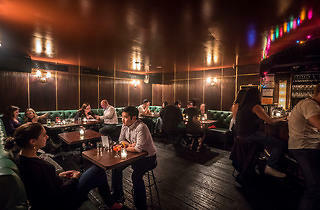 Built in 1835 and located in the heart of the East Village, Holiday Cocktail Lounge has been a long-standing neighborhood fixture. According to the NY Press, the lounge "quickly became a haunt for poets and intellectuals," with famous neighbors including W. H. Auden and Leon Trotsky. No frills bar that has been playing great music the last few times I went- I've only ever ordered a beer here- Usually quiet enough to come with a small group to catch up!